Many automobile enthusiasts are interested in rebuilding cars in order to preserve their looks and styles. And, thanks to a surge in popularity, there are now more tools and resources available than ever before! Are you interested in rebuilding a car or in learning more about the subject in general? Read more about rebuilding cars below, courtesy of the experts at MyDriverLicenses.org. 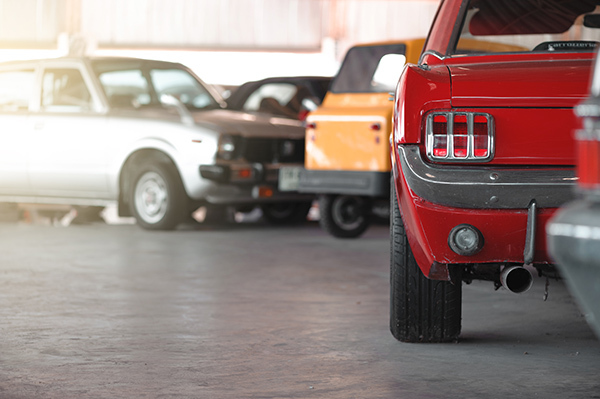 There are many reasons why rebuilding vehicles is a popular hobby throughout the United States. According to the team at MyDriverLicenses.org, a lot of this popularity growth is thanks to the internet. How exactly does the internet relate to rebuilding cars? First, the internet has inspired like-minded hobbyists to connect and talk about rebuilding cars, which has created a network for experts to discuss their projects. In addition, thanks to blogs and forums, there is so much content available about rebuilding cars nowadays that enthusiasts have easy access to information that they did not have 20 years ago, which guides them through the process. Additionally, television has spiked the popularity of rebuilding cars. Reality TV shows like the once-standout “Pimp My Ride,” along with “Fast N’ Loud,” “Wheeler Dealers,” “Counting Cars” and more are credited for the current widespread interest in car makeovers. Analyze the condition of the vehicle – From classic cars you want to refurbish to newer vehicles you’d like to pimp out, the first step is to analyze the vehicle from top to bottom. If you are not a pronounced expert in the field, take your car to an auto mechanic and request a full report. Then, you will be able to see what parts you can keep, and which ones need replacement. Shop for parts – Whether there are dead car parts that do not allow the vehicle to operate properly, or parts you want to install to give your car a hefty boost, you must locate these items. Use online resources, call junkyards, and post on websites like Craigslist. This part of the process can take exceptionally long, so don’t expect to locate everything you need in a week. Make a to-do list – Creating a checklist, along with a supporting calendar can help keep you on track to refurbishing your car in a timely manner. Take the time to map out each part of the car you plan to work on and when. The experts at MyDriverLicenses.org note that giving a car a facelift is not an overnight job, and can take up to several years depending on your schedule, so time and patience are key. Handle the aesthetics – After you have met your goals regarding the internal workings of the vehicle, next is the fun part. You will be able to paint your car and replace any style elements that you so choose. Take your time when giving your rebuilt car its own unique personality. Give it a test drive – Once you have rebuilt your vehicle in its entirety, next, you must take it for a spin! Make sure that everything is in working condition, and drive that baby to a professional once more to have the final look. Once you get the okay that the vehicle is good to go, slap a name on her and show her off to everyone in sight! If you are seriously into rebuilding cars, the team at MyDriverLicenses.org recommends selling these cars as a lucrative side business. There are many other car collectors out there that would love to take possession of your cool, new rides. If you want to hang on to the car yourself, another option is to showcase your car at a car show or two. That way, you get the best of both worlds: bragging rights and the opportunity to park the car in your very own garage.